mama. crafter. nerd. feminist. gardener. lezzer. 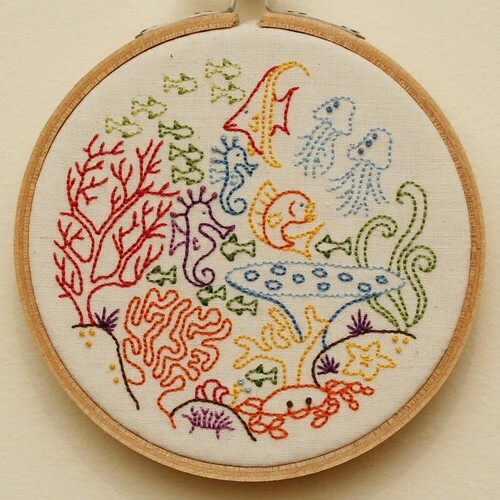 i made this tiny embroidered aquarium for my bff who is a marine biologist. it was fun to design and stitch! i blogged about it here if you're interested. Can I just wist your amazing skills??? 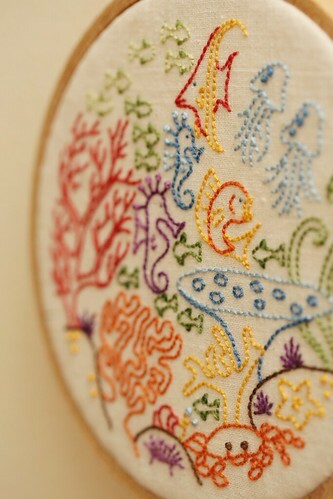 Wonderful stitching and design! I love the colors! That's just beautiful! You're very skilled. woah, this is incredible! 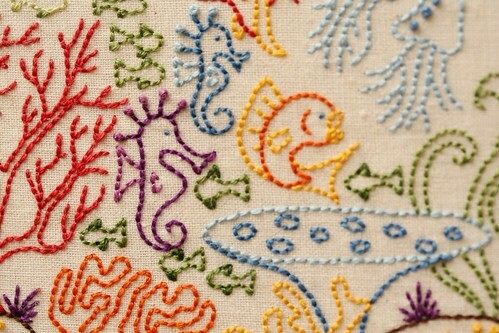 beautiful colors, lovely design, and perfect stitches. great job! Just gorgeous. I bet he loves it. I love it! So many tiny details - wow! I love the colors and variety.